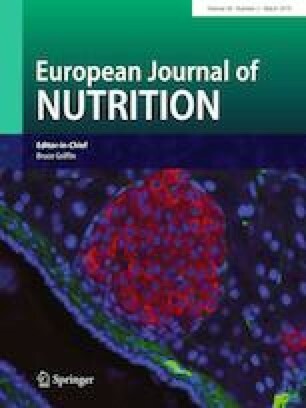 To examine the cross-sectional association between habitual diet quality, dietary patterns and sleep duration. A cross-sectional study of 838 men and 1065 women participating in a large, population-based cohort study, the Geelong Osteoporosis Study. A diet quality score (DQS) was derived from answers to a food-frequency questionnaire, and a factor analysis identified habitual dietary patterns. Self-reported sleep duration was dichotomized into ‘short sleep duration’ (< 7 h/night) and ‘adequate sleep duration’ (≥ 7 h/night). Sleep duration was also grouped into predetermined cut-off ranges (< 5, 5.01–6, 6.01–7, 7.01–8, 8.01–9, 9.01–10 and ≥ 10.01 h /night) to explore the relationship between sleep duration, DQS and dietary patterns. 363 (34.0%) women and 339 (36.1%) men were identified with short sleep duration. After adjustments for age, socioeconomic status, education, physical activity and body mass index, each standard deviation increase in the factor score for traditional dietary pattern was associated with a 13% reduced odds for short sleep duration in men. In women, each standard deviation increase in DQS score was associated with a 21% reduced odds for short sleep duration. In women, adequate sleep was related to higher modern dietary pattern scores when compared both with excessive sleep duration (> 9 h) and shorter sleep duration (< 7 h). Diet quality score was associated with adequate sleep duration (≥ 7 h) and reduced odds for short sleep duration (< 7 h) in Australian women. Lana J. Williams is supported by a NHMRC Career Development Fellowship (1064272). Thaise Mondin is supported by CAPES Foundation, Ministry of Education of Brazil, Brasília-DF 70.040-020, Brazil.